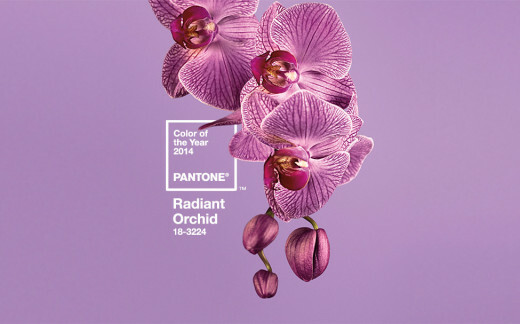 I am pretty excited about Pantone’s color of the year for 2014, Radiant Orchid, a soft purple. Soon we’ll be seeing it everywhere. Luckily it’s a pleasant and soothing color that will lend itself easily to fashion, design, and even make up. Pantone is a considered the global authority on color. Each year a color is carefully selected. Exact color matching guides are available for creating the exact match to the color in printing, web applications, fashion and design. Pantone’s color experts look the world over for color inspiration. From film to traveling art collections to hot new artists and popular travel destinations influences come from all over. 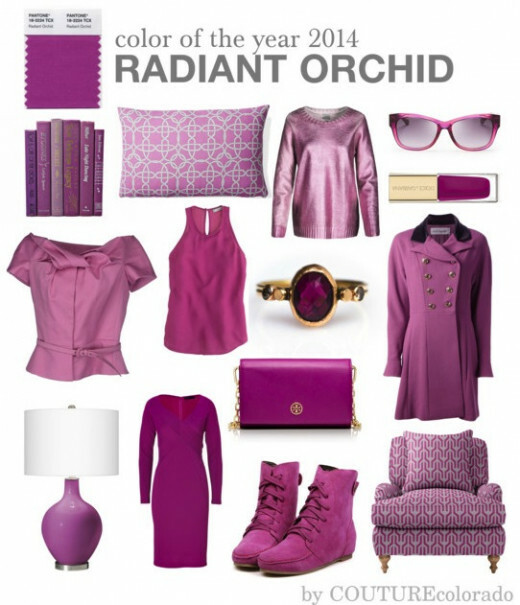 Radiant Orchid is described by Pantone as being “expressive and exotic. Radiant Orchid blooms with confidence and warmth.” Radiant Orchid is a mix of fuchsia, purple and pink undertones. Its rosy undertones make it attractive and wearable on all complexions and both genders. It brings a healthy glow to the skin. 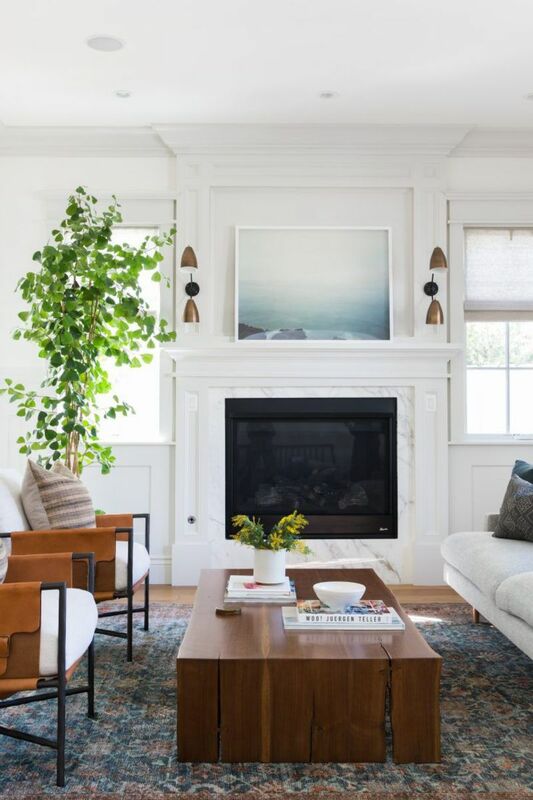 In design it can make a powerful impact on an accent wall when paired with neutrals or can be used to paint the entire room and can be elegant and grand or playful and feminine. Radiant Orchid is a great color for beauty and fashion, not only because it looks good on all complexions, but also because it is a color that fits any season or occasion. 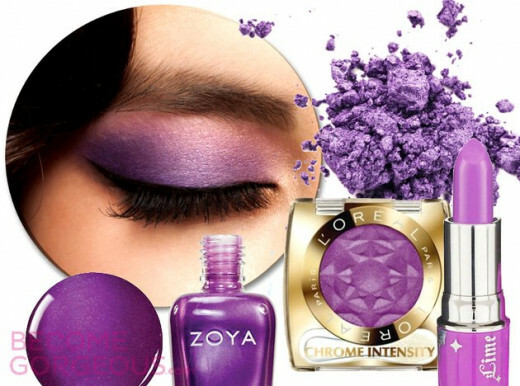 Because Radiant Orchid already blends cool and warm tones, it compliments all skin tones. Look for it in new shades of eye shadow and lipstick. Show off your new manicure in this lovely hue. Try Radiant Orchid shadow with a bold red lip. If you aren’t ready to go full on head-to-toe in Radiant Orchid (perhaps it’s giving you vision of a certain friendly dinosaur) start with small accents. 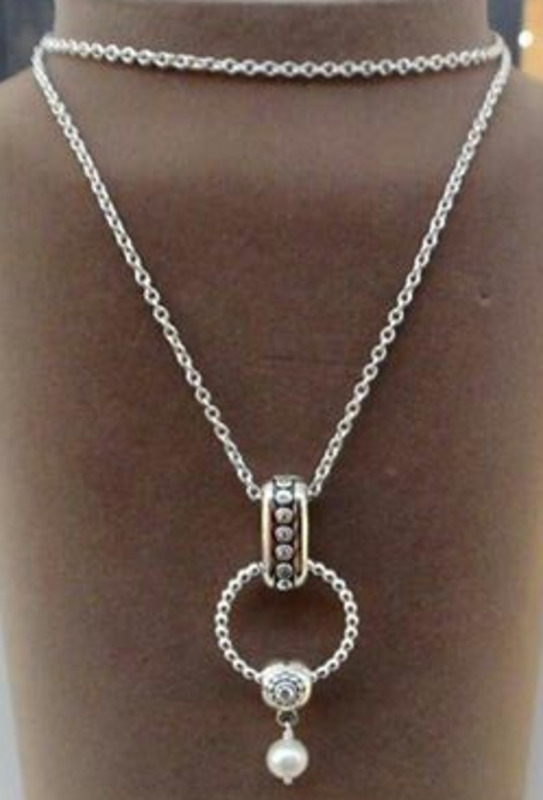 One way to easily work new trends in to your already established wardrobe is through accessories. You can opt for statements pieces like an oversized tote to carry all your essentials to work in, cool pair of glasses or shades, or maybe a lovely platform suede pump. If you aren’t the “go big or go home type” you could chose lovely earrings, a sparkly clutch for a special night out, slender watch or soft silk blouse or sweater paired with your favorite jeans or fall skirt. Why not ring in the New Year in the new color? A cocktail dress in Radiant Orchid would look, well radiant. Radiant Orchid looks divine with icy silver tones. You could pair an Orchid Radiant top with a dove grey wool shirt, or be on trend and pair it with silver sequins. For those who are very daring, look for the shade done in the new leather trend (or the more animal friendly faux leather.) A skater dress in faux leather in radiant orchid would pop at any party. Pull your favorite summer floral out of the closet and top it with a motorcycle jacket in this vibrant hue and shake yourself out the winter doldrums. Gentlemen can add a Radiant Orchid tie, or a scarf with their dark winter suits. A radiant orchid sweater would look warm and cozy with dark wash jeans or navy slacks. 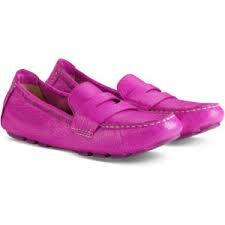 Gentlemen may also prefer the more masculine Magenta Purple which is a little warmer and has more red in it. If the rich hue of Radiant Orchid is too much for your personal style aesthetic, the Pantone Fashion Color Report for spring 2014 offers many shades to choose from including a more pastel member of the purple family, Violet Tulip. The palette for women this spring includes pastels, Violet Tulip, Placid Blue and Hemlock, neutrals, Paloma and Sand, and bright colors, Radiant Orchid, Dazzling Blue, Freesia, Celosia Orange and Cayenne. The men’s palette replaced the pastel Hemlock with the more vibrant Comfrey and Purple Haze is traded for Violet Tulip. The men’s palette shares neutrals, Paloma and Sand, and bright colors, Dazzling Blue, Freesia, Celosia Orange and Cayenne. 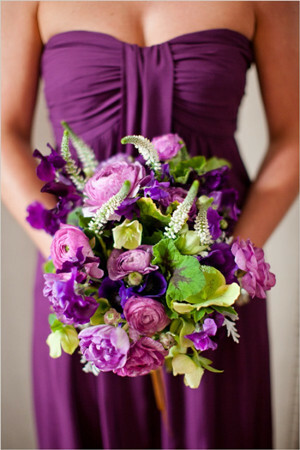 Magenta Purple is the masculine counterpart to Radiant Orchid. Of course, the safest bet to pairing Radiant Orchid in your wardrobe is to pair it with neutrals either from the spring palette, Paloma and Sand, or with classic like tan, navy, cream, black and of course white. Consider the sky blue of Placid Blue as a good neutral as well. 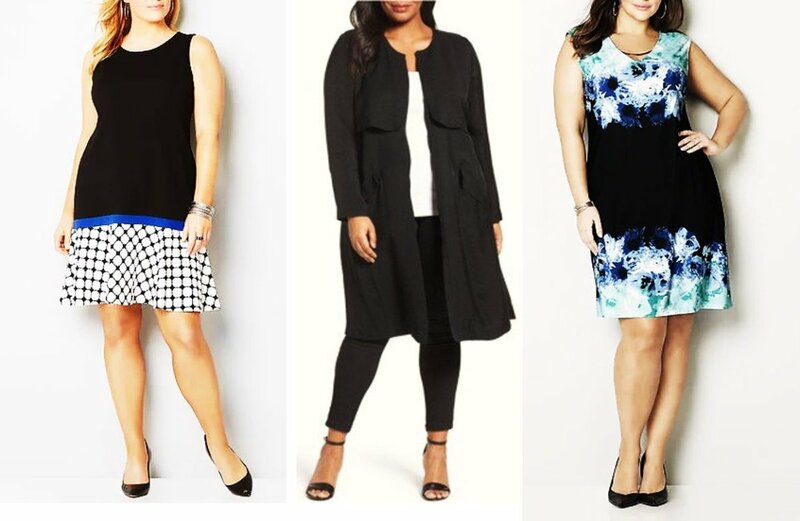 You could mix a solid piece of clothing in the color of the year with your favorite print featuring one or more of the other colors in the 2014 palette. Other colors to consider pairing with Radiant Orchid include Comfrey, olive green, bright or pastel yellow, and even mustard. Color blocking is a still an ongoing trend in fashion. Don’t be afraid to create your own color blocked fashions with this new palette. Layer a radiant orchid cardigan over your dazzling blue shift dress and belt it with a skinny or wide belt in Freesia, Celosia Orange or Cayenne. The cardigan is perfect for those still somewhat chilly early spring mornings and overly air-conditioned offices in summer. If you love the color and can’t wait for Spring to rock it, go ahead and add a little color and drama to your winter wardrobe with a lovely pea coat in the cheerful shade. Keep your legs warm and wear Radiant Orchid tights with your neutral skater skirt and booties. Look lady-like and sophisticated in a pair of orchid gloves. 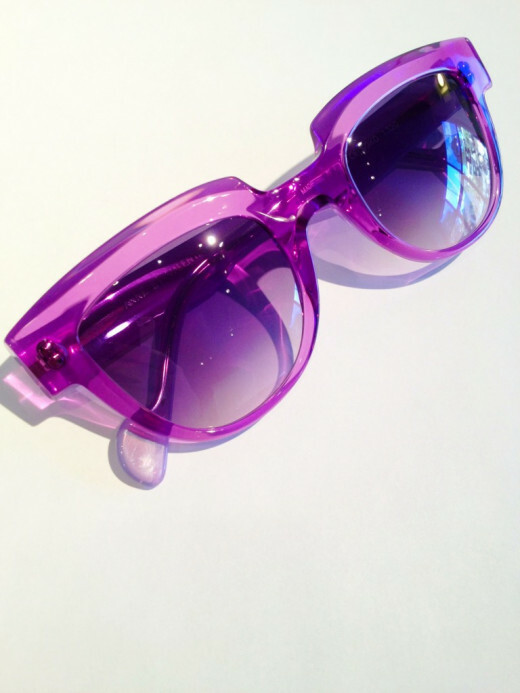 Radiant Orchid is a fun and energetic color. Don’t be afraid to experiment and have fun with your fashion. What is your favorite color from the 2014 Spring Palette? Kuerig is already planning on adding Radiant Orchid to its color line , making it easy to add this pop of color to your kitchen. Go bold and paint and accent wall in your dining room with radiant orchid. Mix in some teal accessories for a fun and vibrant space. If you always loved purple and have the budget and chutzpah to match, why not try a statement piece such as a radiant purple couch in your living room? 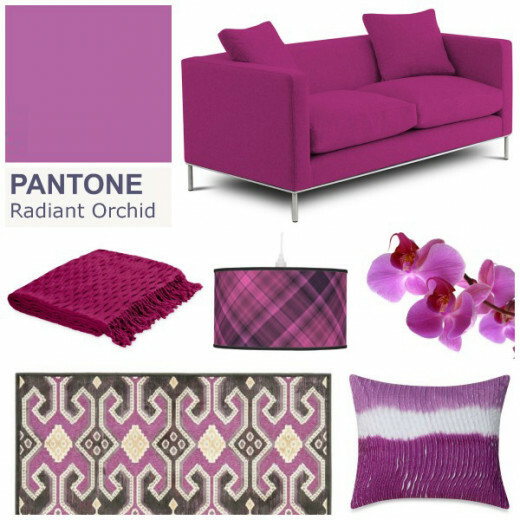 Budget friendly ways to bring radiant orchid into your life are paint, curtains, slipcovers and throw pillows. Look around your home and see what room is not making you happy. Would a new shower curtain and some towels in Radiant Orchid turn your bathroom into that soothing retreat for which you have been yearning? 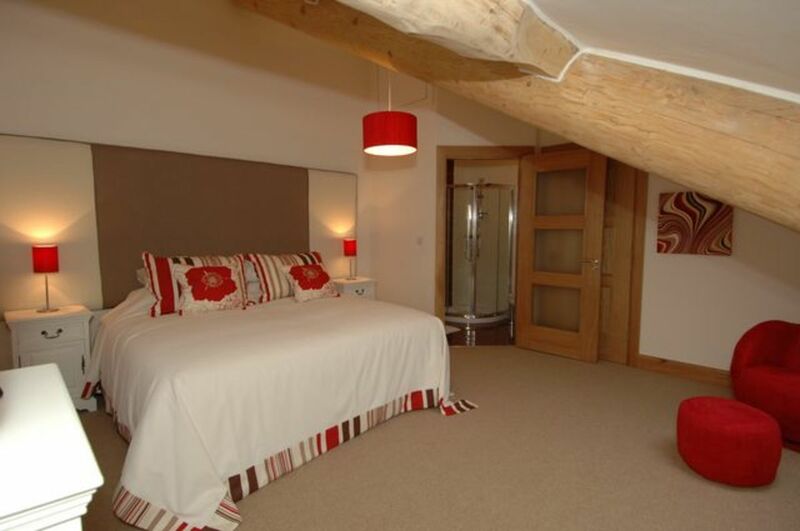 Is your guest room less than inviting? New curtains, some throw pillows and a cuddly through against a neutral background can take the room from boring to bold without breaking the budget. Tie your favorite room together with a patterned rug featuring the color Radiant Orchid. Add some accessories in the color. You don’t have to buy new ones. Paint old tired lamps, vases or children’s toy dinosaurs in Radiant Orchid for an updated, trendy look with just a touch of whimsy. Life is too short to surround yourself in dull colors. Go on, be radiant. Radiant Orchid. I love Radiant Orchid and this hub is excellent! So many good suggestions here - thank you. Thank you Celiegirl. I am too! 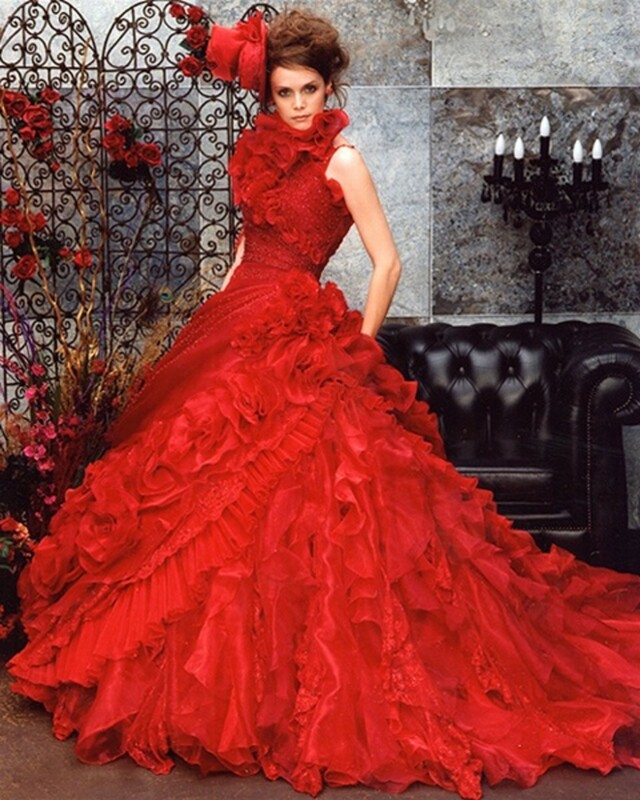 Thank you excited about 2014 color, great job!